Designed by artist Sharon Nowlan, inspired by the natural beauty of her home in Nova Scotia. 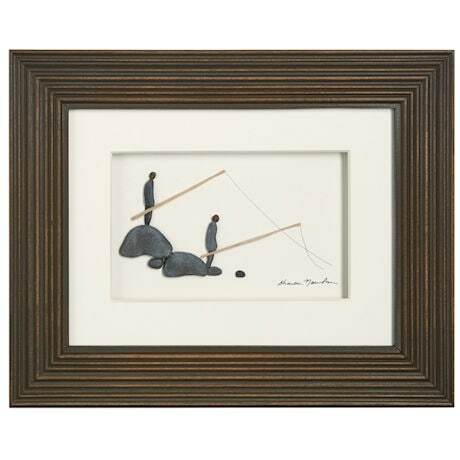 Castings taken from sea-washed stones are assembled to tell a story of two friends fishing side-by-side from a rocky shore. Wood frame under glass. Keyhole hanger, easel back. 10" x 8".